Is Marvel Readying A Scarlet Spider Return? Marvel has unveiled an ominous new Spider Island teaser that is sure to have longtime Web Slinger fans up in arms. 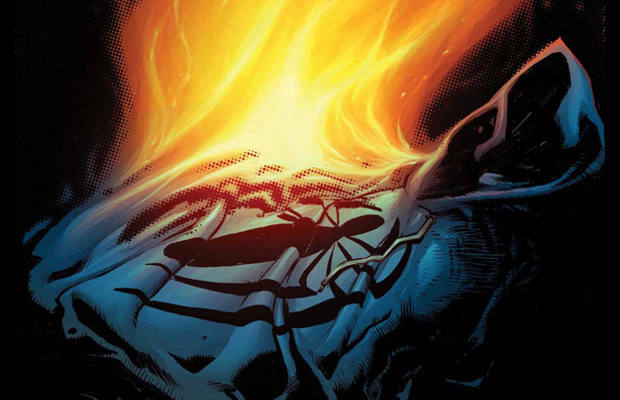 Debuting over at Newsarma, this image shows the burning costume of the Scarlet Spider, Peter Parker&apos;s super-powered clone that took over the mantle of Spider-Man for a brief period of time during the '90s. The only problem is that the Scarlet Spider has been dead for over 10 years. Along with the image, Marvel sent out this quick blurb on the subject: "It’s the Spider-Man event of the year, and with so many twists and turns – there’s no telling what will happen next! But there’s one thing we can tell you, fans can get excited for the return of someone very important to the life of Peter Parker. Except where will he show up? With Spider-Island selling out across the board, it’s obvious that fans can’t get enough of the Wall-crawler, all 8 million of them!" Is Marvel really planning a return of one of the most controversial figures from the '90s? We'll have to wait and see how Dan Slott&apos;s mega-event, Spider Island, unfolds in order to find out.